The Grosjean family traces its roots back to the village of Fornet in the high mountain passes of the Valle d’Aosta known as Valgrisenche where they raised cattle. During the summer months, the family cultivated grapes and chestnuts on the slopes at lower altitude, stocking up on wine to supply themselves over the long winters. In 1969, Dauphin Grosjean, the father of the five sons that now collaborate to produce the wines of this estate, was encouraged to present his wine at the local “wine expo”. The exceptional quality of his work was recognized and the entire family became engaged in the expansion of the vineyards and in the production of wine. The estate has now grown to encompass seven hectares of vineyards. The domaine is located in the hamlet of Ollignan on the border of the towns of Quart and Saint Christophe and includes many “cru” vineyard sites. Sustainable farming techniques have been in place since 1975: only organic fertilizers are applied and no pesticides or herbicides are used. Natural yeasts are utilized for fermentation. 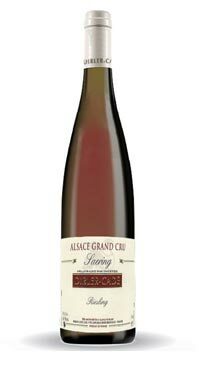 Made from 100% Petite Arvine grapes. 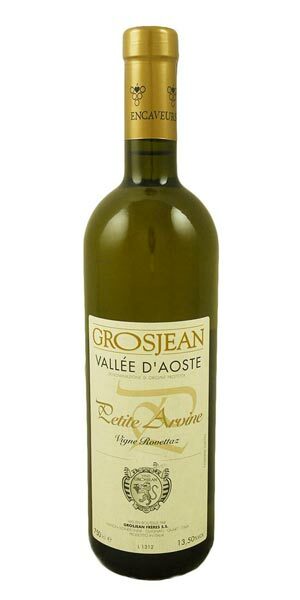 Petite Arvine is a white grape variety grown mainly in Valais, Switzerland and Italy’s Valle d’Aosta. Petite Arvine wines are defined by their bracing acidity and grapefruit aromas and salty minerality on the palate. 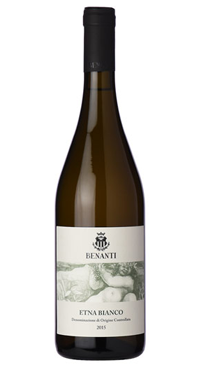 planted in the Rovettaz vineyard at 700 meters altitude. The wine undergoes a long fermentation on the lees with repeated “batonage” for the first month after fermentation. 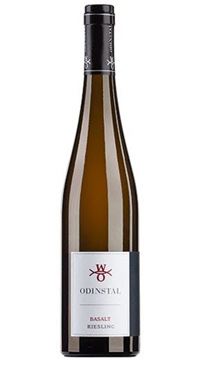 Bright and fragrant with notes of citrus and fennel, this wine has a solid structure that allows it to be enjoyed young or with substantial bottle age. Biodynamic Certified.